Network | 1986-2019 Quest-Computer Co.,Ltd. From setting PCs to network construction, we support the move towards IT by small and medium-sized enterprises. Through remote connection, it become possible to create an environment where you can carry out the same work at home as you can at your company. The merit of working home means that you can reduce the costs of commuting and office rent, etc. Files can be shared between various areas and we recommend this system to companies who wish to share data with shops and branches in other areas. 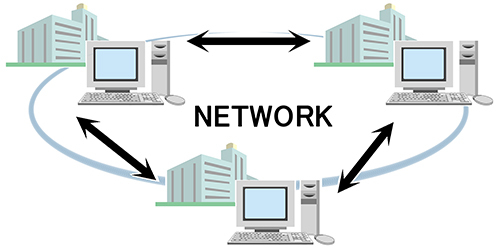 VPN is convenient as exclusive lines, secure and costs can be reduced. Please feel free to contact us on this matter.